SO, There'll be two winners in this Giveaway. The winners will be selected randomly by Rafflecopter. 2. Lioele Blooming Gloss in Creamy Orange (used for review only). 3. Etude House Blooming Lips Talk in OR208 (used for review only). 4. Etude House Look at My Eyes Cafe (used for review only). 5. Lioele Color Eyeshadow (used for review only). 6. The Face Shop Pink Cushion Blusher (used for review only). 2. Etude House Blooming Powder Pact in W13 (natural beige), only swatch two times but the shades is too dark on me. 3. Lioele Beyond The Solution bb cream mini size (this is new,lol). This is the image to use on your blog post/banner. I love it >w< ! thank you very much for this giveaway :D ! good luck everyone ^^ ! Ah! I've been wanting the Dolly Wink brand Liner for a long time now! Oh, I've also just made a giveaway, ha ha! 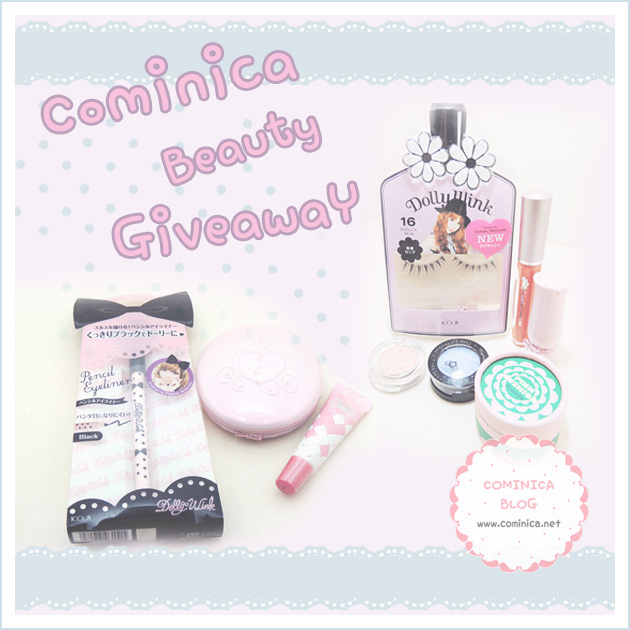 The prize is over $80 of Korean make-up, I hope readers from your blog can join mine too! your blog is awesome!! i really love it! every make up like, you always have a review for it! which is very helpful! hello, I want to join but how? Joined! I love this giveaway <3 hope to win! oooo... i didnt win again =_=" Well, there's always next time ~ congraz to da winners !